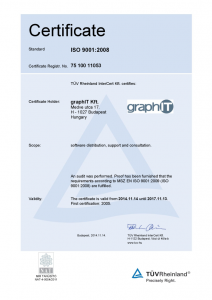 graphIT Ltd. is a Hungarian company partnering Siemens PLM Software since 1998. Before that graphIT represented Intergraph the original developer of Solid Edge – Siemens PLM Software’ leading mid-market CAD solution today. graphIT’s offices are located in Budapest, the company has 21 employees. 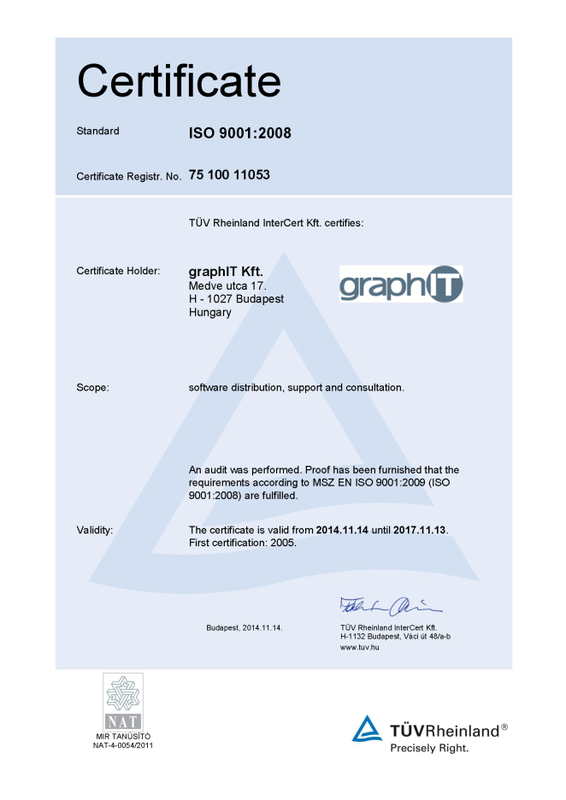 graphIT’s profile includes software distribution, support and consultation under ISO 9001:2008 certification. graphIT’s mission is to provide the best PLM solutions for any size of industrial enterprise to make their business more effective and more profitable. After 15 successful years in the PLM business graphIT has around 1000 CAD/CAM customers in the Hungarian mechanical industry using different software solutions from Siemens PLM Software. graphIT Ltd. represents the whole PLM portfolio of Siemens PLM Software including NX, Teamcenter, Solid Edge, Tecnomatix. In addition to the traditional products offering graphIT emphasizes the Siemens PLM Software Velocity Series in Hungary which is designed for small and medium size businesses, typical in Hungary, and includes Teamcenter Express, FEMAP and NX CAM in addition to Solid Edge. Since 2014, graphIT Ltd. represents the quality management solutions of Siemens PLM in the CEE region extended with Switzerland and Austria. graphIT offers complete solution for the customers including software, training, implementation and services. graphIT has excellent certified training facilities and skills to provide training courses for all Siemens PLM Software products at almost every level, and to give high level after sales services graphIT operates a 7/24 Web based support system and a dedicated PLM telephone hot-line in working hours. graphIT’s long term partnership with Siemens PLM Software, the large customer base and deep market experience all together represent a unique value in the Hungarian PLM market for those companies who want to use this leading technology with a reliable partner to enhance their business. graphIT is a Gold Partner of Siemens PLM Software and is the first contact point in Hungary in case of sales and support enquires.